By Keelin Riley | May 1, 2012. The organisers of this summer’s Olympics in London have confirmed the Olympic Flame is set to travel through the Liberties next month. After making its way through Northern Ireland, the torch is set to travel down to Dublin on Wednesday, June 6th. Spectators can catch a glimpse of the Torch as it relays right through the city, gracing the Liberties as it passes through Christ Street. The Torch Relay is to begin at Croke Park just after 9 am and will be carried through the capital by 40 specially chosen athletes. The torch will take its route down the North Circular Road to Mountjoy Square, Gardniner Streeet, Parnell Square East and onto the Garden of Remembrance. It will then weave its way through O’Connell Street, passing through Cathal Brugha Street and heading up Eden Quay. From there it will proceed to Custom House Quay and Sheriff Street and over the Samuel Beckett Bridge. It will then make its way along past the Grand Canal Theatre. The torch will then grace south Dublin by passing through Merrion Square, Baggot Street, Fitzwilliam Square, Leeson Street, Grand Parade, Rathmines and the South Circular Road. It will return via Clanbrassil Street and through Christ Street into Grafton Street, before heading onto Nassau Street. It will finish at the Mansion House in Dawson Street at midday. 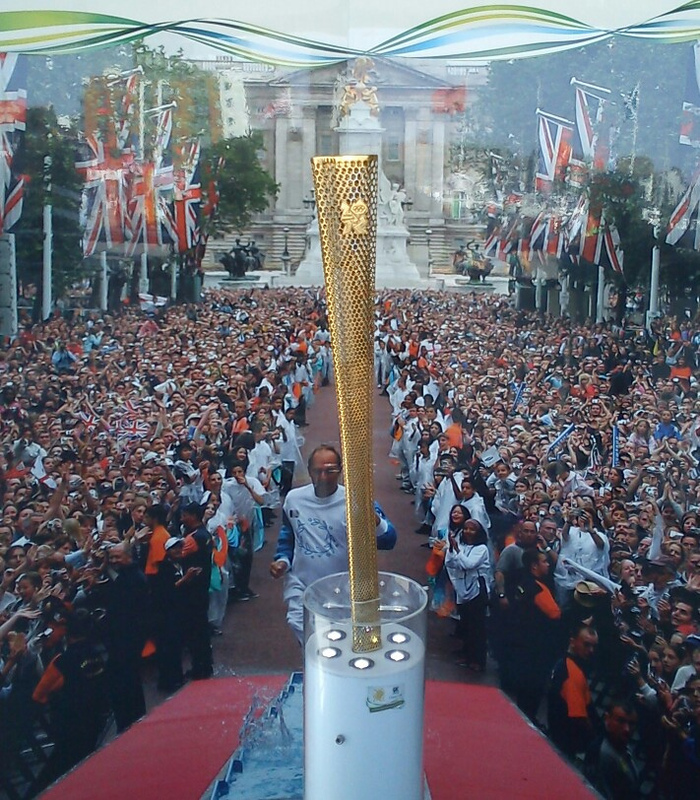 Torch bearers who were chosen specially for this event are athletes like Mark Pollock, a Northen Irish adventure athlete who is blind and paralysed, and eight-time All-Ireland wining Kilkenny hurler Henry Shefflin. Sonia O’Sullivan, silver-medallist at Sydney 2000, will also bear the torch in Dublin for the city centre leg of the relay. The relay will finish off with a ceremony involving the 40 torch bearers who carried the torch. Photo credit: Phil Thomas on Flickr.